Recently I took my first steps into the wonderful world of internet video publishing. As promised and requested, this post describes some of the finer details behind it. After reading several discussions about multimedia on sportshooter.com, and later viewing this series about journalism in the 21st century, I got interested in the concept of quick video production. Recently, several American newspapers introduced the concept of hyper-local news, a quite interesting new development in news media. Basically it means bringing local news to a local target population, with all the high tech equipment the (regional) newspaper already had, and the same quality to boot. But leaving the national news to the national papers. A great example of this is "Studio 55". . A project started by a regional newspaper which aimed to provide 10 minutes of daily news in a televised format. Rob Curley has a great post on how it all began. Now hyper-localism is basically what community radio stations in The Netherlands are -and always have been- all about. The only difference is the size of the target demographic, the budgets, and the professionalism of the people creating the content. This meant I had to take the concept of Studio 55, and strip it down to a level where a local broadcaster could use it. In the case of Lokale Omroep Rijnwoude, that didn't leave much. 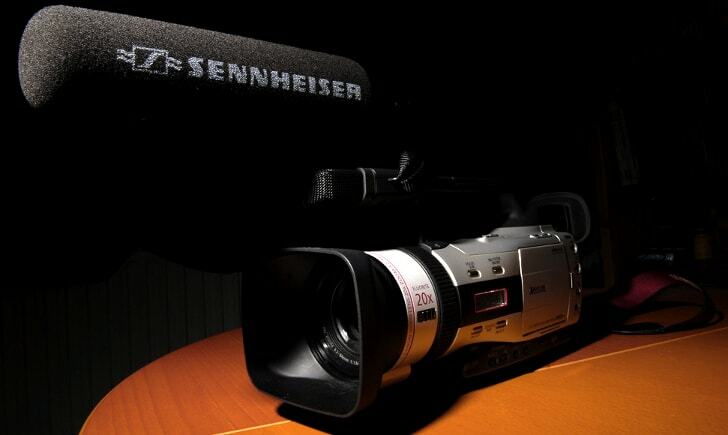 No budget for studios, cameras, and time (and content) for daily video broadcasts exists. So the whole concept had to be left behind, and I started again from the ground up. What do we have? The radio station has a TV-channel, but animated content can't be shown (it requires a vast capital injection to get the right data connection), so that only left the website as a medium. The last couple of months, it all came together. Suddenly newspapers and other content providers had discovered they could use video to do reports, or provide background to stories on their websites, giving me lots of ideas. After having spent several months thinking about content delivery, I realised I was looking at the problem all backwards. We don't really need any news bulletins, we don't have the content. But we can use video to enrich the content on the website, just as we always used photo-reports. This would create some accessibility issues, so I quickly abandoned that idea. Instead, I opted for a multimedia format. The video would be embedded in a regular news item. The video would be the leading piece of content, the article would provide contextual information. That way, if someone was unable to load the flash video player, that person would still get an idea of what was supposed to be there. But how to present items on the site? Whilst working for GBO.Overheid, I came across the Overheidsvideo-player. It is a flash video player component, which can be easily loaded on a page, its dimensions modified, and the content loaded externally. The Overheidsvideo-player was adapted to allow for maximum accessibility and usability, once again something that made production for community radio really awkward and would add lots of time to video production (several sizes, transcripts and file formats would have to be provided). As that was the process I wanted to be easy, we quickly reverted to the standard player built by Jeroen Wijering. This left only two obstacles. One was how to streamline post-production of shot items. As the ideas of how to shoot items became clearer, so did the need to keep post processing as simple as possible. Length of items wouldn't matter, but would always have to be under 10 minutes, to remain interesting. Each item starts with the station logo, and ends with it. There's a standard title field. Audio will always be mono, to cut down on download times. Each item would consist of an interview (a-reel) and footage showcasing the topic (b-reel). The two would be cut together, and an item is made. The second obstacle was the final file. I now had access to a web server with enough space to store videos, but that doesn't mean it's a great idea to go for full 1080i quality (not that my camera supports that anyway, but I digress). There's download times to consider! I settled for the Adobe Flash Media Encoder, which comes with Flash CS3. It has a great compressor (On2 VP6), which allows for very small file sizes, and acceptable quality when used properly. Besides all the conceptual and programming stuff there was the equipment to consider. The camera used for shooting actual footage is a shiny new Canon XM2. This camera is a step above consumer cameras as far as quality and versatility is concerned, but loses out to the pricier HD-cameras on the market right now. There being a 1000 Euro gap between the XM2 and a high definition-equivalent, it was an easy choice. Image resolution is not really a big deal for web videos anyway. The other factors like audio quality and contrast are. Which put this camera head and shoulders above the consumer cameras. The only two features I really miss are proper XLR-audio input and a true 16:9 widescreen mode. Neither audio or screen aspect ratio have been problems so far. We purchased a special Sennheiser shotgun-microphone which is performing just fine. Even though it's not stereo, the sound is really clear, and the windjammer does a good job of keeping unwanted noise away. As I still want to deliver movies in widescreen format – mostly for aesthetic and bandwidth reasons -, I developed a workflow in Adobe Premiere Pro and Flash media encoder to easily cut the top and bottom off the frame, faking it. The camera does offer special 16:9 guidelines in the viewfinder, so as long as you pay attention to those, there's no fear of cutting off vital imagery. Concluding, after I produced three video's (and botched one attempt through a faulty tape), I'm really getting the hang of editing and shooting. Learning all the quirks of a camera is essential, and shooting video requires a lot more concentration then still-photography. You have to take audio level, background noise, the tape, the storyline, the composition, the microphones, the presenter, the final edited footage, and the length of the item into consideration, as opposed to just shooting images. It's great fun to do, and producing for local media gives me more of a purpose then just shooting for personal fun. Though I do suspect video content will eventually spill over to this website, as soon as I can find an interesting use for it.